LFA-FFR for OSPF is defined in RFC 5286. According to this RFC there are several situations where LFA-FRR should not be used for Inter-area and external routes. For example, on Page 7 of the RFC it states the situations where inter-area routes and external routes should not use LFAs. I cant understand the tie breakers . It will check one by one like BGP attribute do ?? Could you please help me to understand clearly ? The tie breakers will be checked based on the number found after the index keyword. That number is essentially a priority index. The lower the number, the more important the attribute. So the order the attributes will be checked will be in ascending order of the index number. You can find more info at this Cisco documentation. Great lesson as always and very helpful to understand. Please let me know what router and IOS version I can use to test in GNS3. 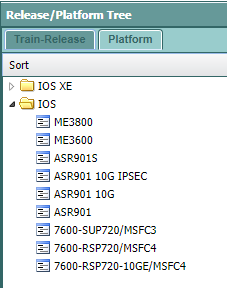 Note that the IOS version are in the “S” train, that is, service providers. In general, this is a feature that is available in higher end platform and IOS versions. One question about design considerations for the LFA FRR - how should be future deployed in network? On all routes and using same algorithm to avoid possible loops, or just cherry picking some destinations at some routers and ensuring that algorithm you used wouldn`t cause suboptimal routing? Also after we switched to the backup path will router still run SPF algorithm and re-calculate and install newly calculated path or it will continue using path chosen by LFA FRR? Cos if two adjustment routers use topology view of their respective neighbor to make they FRR decision but neighbor indeed is not relying on it`s own SPF calculated bestpath but on path chosen by FRR, it could possibly lead to unpredictable results. The main advantage of LFA FRR is the increased convergence time so it’s probably best only to use this on routers where switching over from the primary to backup path really makes a difference, like routers forwarding VoIP traffic where the lower convergence time is important. I wouldn’t just enable this on all routers in your network. Once it switches over to the backup path, it does run SPF to re-calculate. You can see it in action if you enable debug ip ospf fast-reroute and debug ip ospf spf. Low priority specifies that all prefixes have the same eligibility for protection. High priority specifies that only high-priority prefixes are protected. You have mentioned above that OSPF treats loopback and /32 prefixes with higher priority, calculating an LFA for these a bit earlier than other prefixes which contradicts the Cisco documentation. You are absolutely right, I found the same documentation stating that. However, I have also found this documentation supporting what @ReneMolenaar said in the lesson. I will differ the issue to Rene to clarify. Thanks very much for catching that!! The subnets shown on the network topologies for this lesson are not correct. Thanks Mark, just fixed this. This document describes how LFA mechanism provides fast reroute of traffic in network. They explain that high priority prefixes get programmed before low priority prefixes. A high priority prefix is a /32 prefix. It seems that on Cisco IOS XE, it means that only /32 prefixes get a backup path since I can’t configure a threshold. On other platforms and/or IOS versions this might be different. Copyright © 1986-2017 by Cisco Systems, Inc.
Could you please elaborate more on what means “LFA coverage on an interface”? Say, we execute “show ip ospf fast-reroute prefix-summary” and we get this statistics per interface. It’s quite confusing though. What means “100% of prefixes are protected on an interface”? Whose prefixes? All prefixes that are being kept in ospf database of a given router? In some labs I’ve seen tweaking cost value on some links to make this LSA coverage = 100% for an interface. In Cisco docs there’s some “madness” with several inequalities. This is one of the most complicated topics in the whole CCIE blueprint probably. The following example displays information about prefixes that are protected by the OSPFv2 loop-free alternate FRR feature. It displays information on the number of prefixes by area and by priority (high or low) and how many are protected, that is, have repair paths configured. So the percentage is a percentage of the prefixes of that area that are protected via that interface. That interface has a directly ready alternate route configured for X% of the routes in the OSPF area.